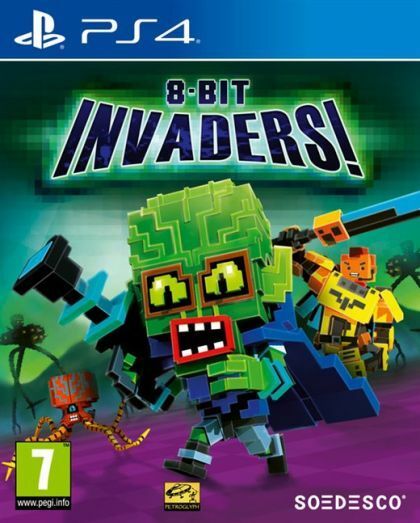 Collectorz.com Core Game Database PlayStation 4 8-Bit Invaders! 8-Bit Invaders! is a sci-fi themed RTS in which the Multiverse is your battlefield. Players can fight with one of two factions, the sinister Cranioids or the military might of the Galactic Marine Corps. Unlike any other console game, all three games in the 8-Bit RTS Series allow for cross-title Multiplayer. This means that players can combine the different factions and maps, battling with fiery dragons against flying saucers and massive tanks. The new trailer gives an impression of what it looks like when these three totally different worlds come to an annihilating clash! Fight cross-title battles between Armies, Hordes and Invaders!